Lying on the western bank of the River Erewash, Ilkeston is a town in Derbyshire’s Borough of Erewash. It has a population of approximately 40,000 and a selection of affordable housing perfect for first time buyers or if you’re looking to snap up a bargain. At My Home Move Conveyancing we’ve been developing our knowledge of property markets like Ilkeston’s since 2001, allowing us to bring our clients in the area an outstanding, specialist conveyancing service. You’ll require the services of property lawyers if you want to buy or sell property in Ilkeston, in order to complete the legal work on your behalf. 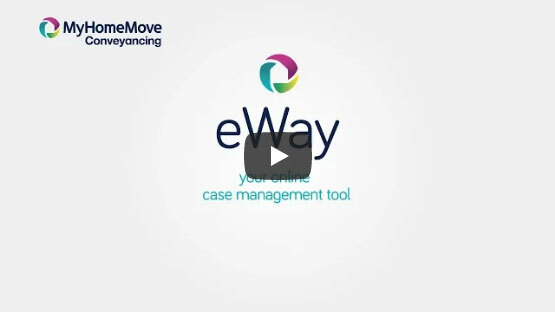 Select My Home Move Conveyancing to be your Ilkeston conveyancers and take advantage of our award winning customer service, innovative use of technology and knowledge of the local market. We offer a fixed fee conveyancing service with no hidden extra costs, so you’ll know exactly what you’re going to pay right from the start. If you don’t end up completing for some reason, you won’t have to pay us a thing in legal fees. Choose us for a market-leading, professional and passionate service. We assign a dedicated conveyancer to each of our clients, providing you with access to their expertise and a consistent point of contact. You’ll get clear, regular updates on the progress of your case, as well as online access to your account. At My Home Move Conveyancing we have more annual completions than any other conveyancer, because we get things right first time round. We supply our conveyancing services in Ilkeston to customers looking to be either in the centre of town or in neighbourhoods including Larklands, Little Hallam and Cotmanhay. The average house price in Erewash is £147,821, while the overall average sale price in Ilkeston over the last year was £126,361. Most sales involved semi-detached homes which went for £121,179, while terraces fetched £94,114 and detached properties £196,722. With a history that’s believed to stretch back to the sixth century, Ilkeston appears under the name Tilchestune in the Domesday Book of 1086. The town saw significant growth thanks to its prominence in the coal, iron and textile industries, and benefitted from its position just outside Nottingham. Ilkeston is only a couple of miles outside Nottingham’s western boundary, making it a popular place for commuters to the city to live. The town hasn’t had its own railway station since 1967, but the drive to central Nottingham is only seven miles, and should take between 20 minutes and half an hour depending on traffic. The nearest train station is Langley Mill, which is around five miles from Ilkeston. Trains to Nottingham take less than 20 minutes, while it’s around 50 minutes to Derby and half an hour to Sheffield. The M1 passes to the east of Ilkeston, providing great access to the national motorway network. There’s a good range of schools in the local area to choose between for your children, with primary options including St Thomas Catholic Primary, Ladywood Primary and Dallimore Primary. The Ormiston Ilkeston Academy and Kirk Hallam Community Technology and Sports College provide education for children aged up to 18. All properties in Ilkeston will fall within one of the following council tax bands.